Comptia A+ is course run by SOLAS - eCollege, Dublin. For more information about Comptia A+ at SOLAS - eCollege, please review the details below. The aim of this course is to validate understanding of the most common hardware and software technologies in business and certifies the skills necessary to support complex IT infrastructures. CompTIA A+ is a powerful credential that helps IT professionals worldwide ignite their IT career. 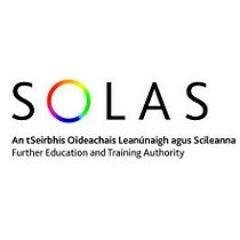 The Comptia A+ course at SOLAS - eCollege is listed in Courses.ie's national courses finder. For information about SOLAS - eCollege, please visit our Colleges page on Courses.ie by clicking here.